Vitor Belfort made his return to the UFC by dismantling Rich Franklin in UFC 103 (September 2009). Now Vitor is slated to fight the Champ Anderson Silva next in a very exciting and remarkable title fight match up. Equally remarkable is the Vitor Belfort clothing developed by RVCA. They have produced the Belfort cornerman T shirt and the Belfort Jersey. 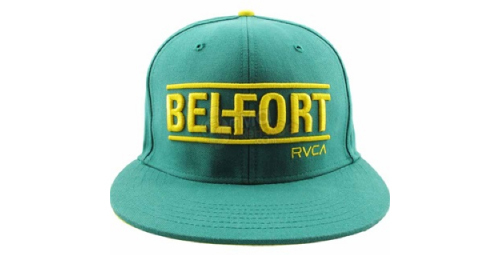 Now, RVCA has introduced the Vitor Belfort hat that features the same color scheme of yellow and green of the Brazilian flag. The MMA hat is quite comfortable with flexfit panels and soft twill fabric. These hats come in a one size fits most in a Small/Medium category and a Large/Extra Large category.